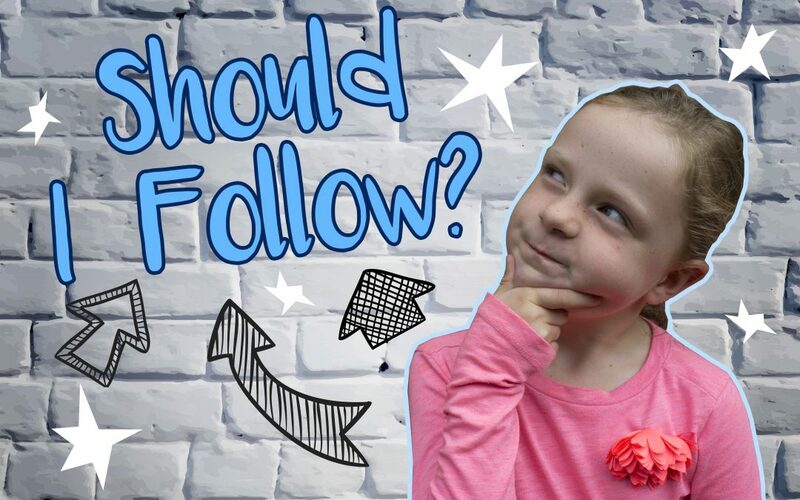 AIM: The ‘Should I Follow?’ Childrens Lesson on the Rich Young Ruler is aimed at helping children to see why they might want to follow Jesus and what that entails. Dash For Cash. Hide cash around you room or stage and give children a few seconds or minutes to make a dash for the cash. Cash Dunk. Prepared to get wet in this fun game! 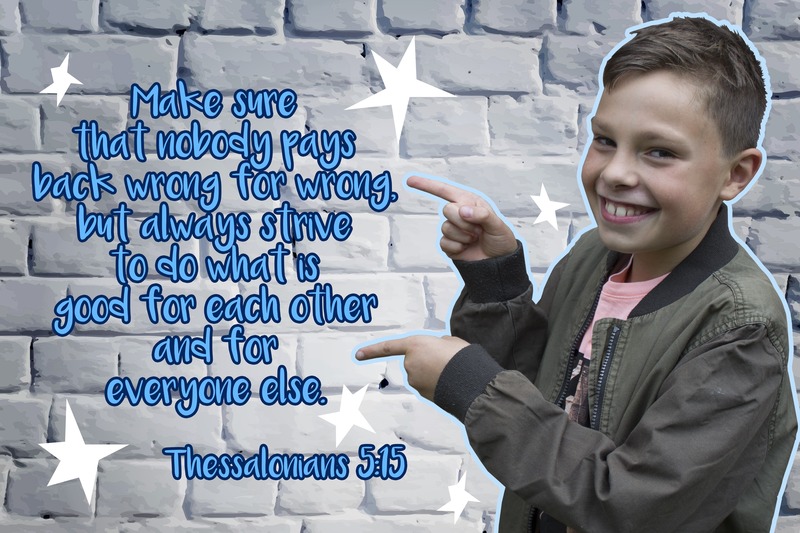 BIG VERSE: Make sure that nobody pays back wrong for wrong, but always strive to do what is good for each other and for everyone else. 1 Thessalonians 5:15. For the bible verse Powerpoint image click here. Read Mark 10:17-31 together and act out a skit using the bible passage or play ‘The Rich Young Ruler’ by Life TV. What did the rich young ruler want to know? 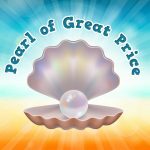 Why was Jesus surprised that the ruler called him ‘good’? What had the rich young ruler done already? Why did the rich young ruler go away sad? What did Jesus say was impossible for people? 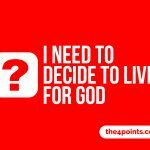 1) WHAT’S THE POINT OF FOLLOWING JESUS? 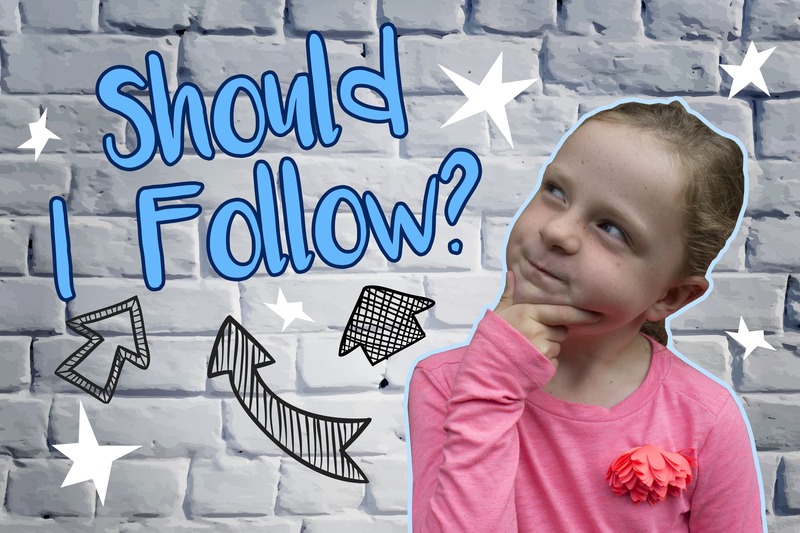 We LOVE the video ‘Why Should I Follow Jesus?’ for 8-11 year olds. Write a list (with the children) of all the qualities of a person that they would want to follow. You could write them on white labels and stick them to someone as you talk. Jesus explained that only God is good (Mark 10:18). That doesn’t mean that you and I aren’t good. We all do good things! But Jesus is 100% good. To follow Jesus isn’t just to do good. It’s way more than that. It’s knowing all that God has done for you – all the incredible things in the bible and all the amazing things He does in your life. It’s living a life that is exciting! It’s living a life that shows others how incredible God is! The point of following Jesus is to become more like him and to help others to know and love him too! Listening to God and letting Him help you to bless others in great ways! 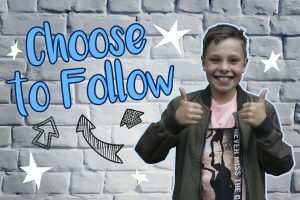 Who would you choose to follow: Ask children to choose between different celebrities/cartoon characters by running from one side of the room to another. You may want to stay away from political leaders (to avoid arguments) depending on the culture of your group. Say: The rich young ruler decided to walk away from Jesus. He chose to go the other way. Our decision to follow Jesus is always a choice. He will never force us to follow. Yet Jesus chooses us first. He wants us. That’s why he came to the world – to show us that he loves us and that he would even die for us! You can choose to act differently to the rich young ruler. 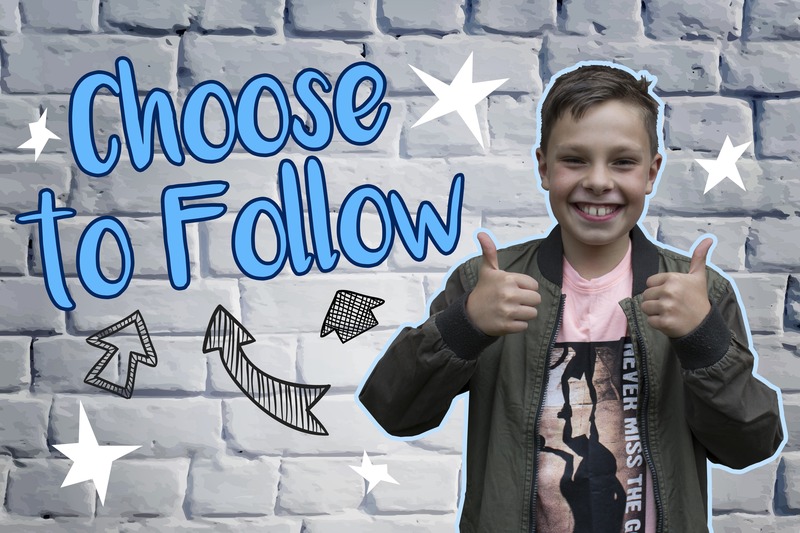 If you want, you can choose to follow Jesus. It means making Jesus number one in your life and letting him lead you. It means listening to him and allowing him to show you where to go. It’s exciting and scary and well worth the journey! Say: Sadly the rich young ruler missed out when he decided not to follow Jesus. All he could think about was what he would have to give up. He loved his cosy house and his piles of money. Yet Jesus knew that the life that he could give the rich young ruler would be way better than any pile of cash! The rich young ruler made money the most important thing in his life. Jesus was showing him that money isn’t going to make you happy. Loving others and loving God will help us to find joy in our lives. That’s why he asked the rich young ruler to give away all his money to the poor. Not just as a duty he had to do. Jesus always gave out of love. When we love someone then it is a lot easier to give them our favorite thing. The rich man didn’t love the poor and he didn’t love God enough to give his money away, so he had to walk away. Jesus says that some things are impossible for people to do. Yet with God all things are possible (Mark 10:27). That includes following Jesus. We need his help if we are to follow him – and that’s what he will do. He helps us to follow him every day, if that’s what we choose. Following Jesus is much better than anything else we can do or have in life because those things don’t last. Jesus lasts for eternity – we can always love and serve him and his love will never run out! Cut out the feet from the ‘Following Feet Verses’ printable and hide the bible verses around the room. Print off multiple copied if you have a big group. See if the children can find one of the feet – or a whole set of six feet. Alternatively you could play Musical Islands and have the children try and be the last one standing on the final bible verses (1, 2, 3, 4, 5, 6). Call out numbers while the music is playing and when the music stops they must stand on a bible verse in that group size. A bible verse is eliminated each time until a winner is left standing. Then discuss the verses in small groups or altogether, depending on the size of your group. 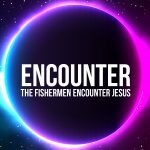 How can we follow Jesus? Say: Imagine for a moment that you are the rich young ruler. Why are you feeling sad that Jesus has asked you to give up everything you own and give it to the poor? Making a cross necklace or wristband using cross shaped and ordinary beads and elastic. Cover the bottoms of their feet in paint and encourage them to walk their footsteps over a very long piece of paper or wallpaper. Make a Following Jesus sandal. Google and Print off a Nike Shoe Template or an Adidas Shoe Template and encourage the children to design their own shoe as they think about what it means to follow Jesus’ footsteps. 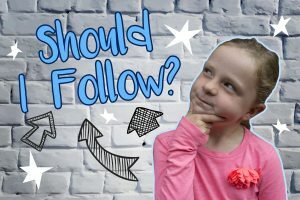 The obvious question to ask children in this session is “Do you want to follow Jesus?” Don’t be afraid or embarrassed to ask this question. It’s so important to be upfront and real with children. They want to know that we can be bold in following Jesus. Jesus gives you the authority to lead children to him. As you ask them make sure there is no pressure attached, but that you ask the Holy Spirit to help you make the invite as welcoming and loving as possible. Remember that salvation is a miracle and a work of the Holy Spirit. Lead the children by saying a short prayer, but remind them that following Jesus isn’t just about a prayer, but it is about what we do every day and how Jesus can move in and through us. Jesus, I want to follow You. Help me to live my life in a way that shows people who You are. Amen. For children that already follow Jesus, you may want them to ask themselves if there is an area in their life that they have not given over to Jesus. 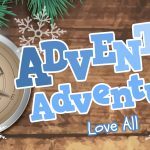 Have pre-cut feet that you can hand out and ask the children to write or draw an area of their life that they know they need to ask the Holy Spirit to help them follow him in. Then pray. The children can keep these feet in their bibles as a reminder of what they would like to keep giving to God.